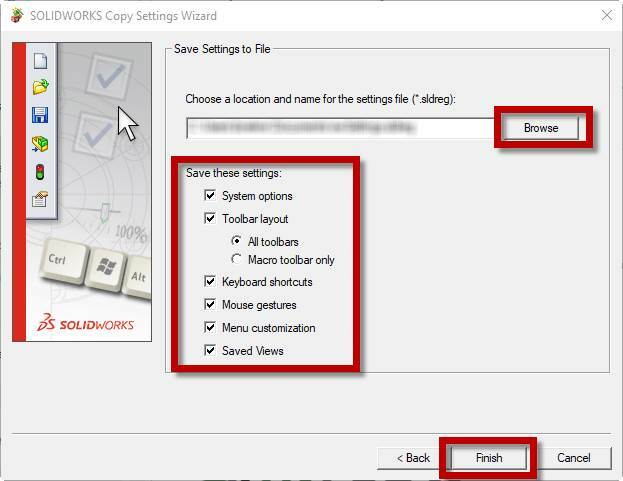 The Copy Settings Wizard saves, restores and propagates system settings to users, computers, or profiles. 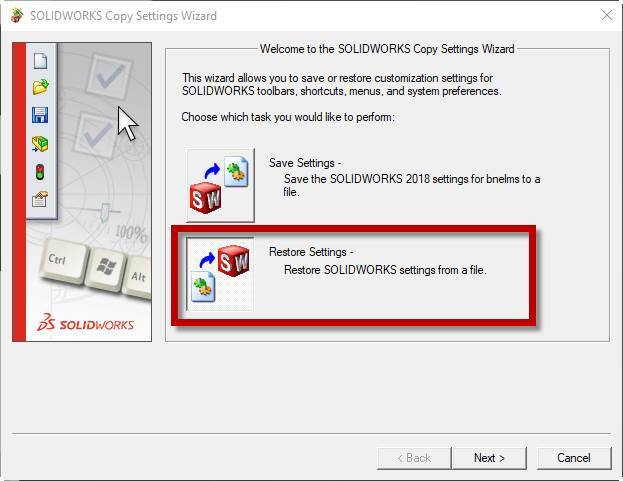 When you select options for the SOLIDWORKS software, those settings are saved in the registry file and the software recognizes the settings from one release of SOLIDWORKS to the next. For most users, no action is necessary to maintain their settings. However, you can use the Copy Settings Wizard to distribute settings. Toolbar layout (All toolbars or Macro toolbar only). 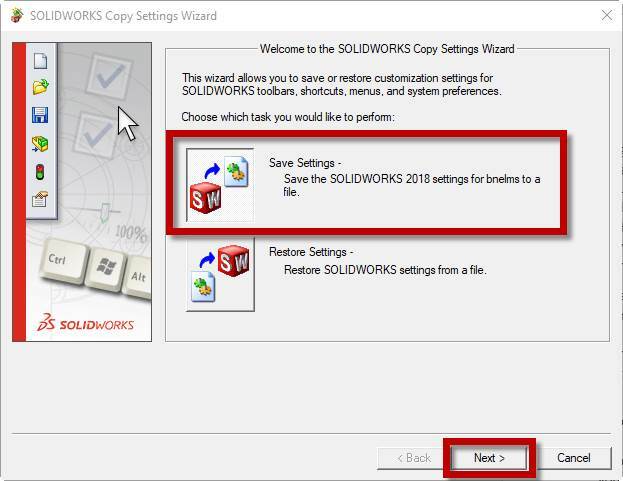 To access the tool, you can go to Start > SOLIDWORKS Tools [YEAR] > Copy Settings Wizard [YEAR]. And from there you can select “Save Settings” and then click “Next”. Thank you for taking a look at our SOLIDWORKS Copy Settings content.